The bestselling author of What the CEO Wants You to Know teaches you how to rethink sales from the outside in. More than ever, these days, the sales process often turns into a war about price-a frustrating, unpleasant war that takes all the fun out of selling. But there's a better way to think about sales, says bestselling author Ram Charan, who is famous for clarifying and simplifying difficult business problems. 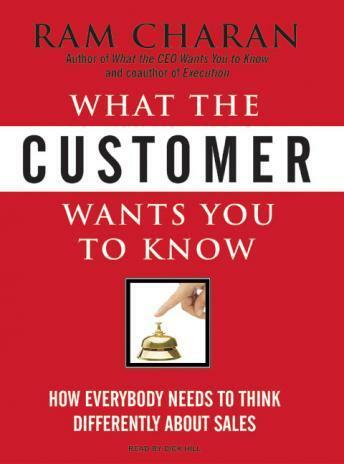 Someday every company will listen more closely to the customer, and every manager will realize that sales is everyone's business, not just the sales department's. In the meantime, this eye-opening book will show you how to get started.